The core philosophy that has guided Rockford Homes throughout its growth and success is the commitment to building quality homes at competitive prices in the best locations. Because we remain a privately held company, we have the flexibility to make our business decisions locally and respond to our customer needs quickly. We constantly update the designs and features of our homes in response to customer feedback and we maintain prime locations to assure lasting value of our customer’s homes. A home is the largest single purchase most people will make in their lifetime. With this fact in mind, Rockford makes sure to involve its customers in every step of the process — from the moment you walk into one of our models to the moment you back the moving truck to your brand new home. Further more, our commitment to service and warranty extends well beyond move-in. 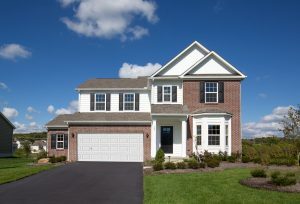 Rockford offers a wide selection of single-family homes in 25 Central Ohio Communities. It also provides a convenient Design Center where professional design consultants can help customers choose the products and features needed to personalize their Rockford homes. For more than 35 years, Rockford Homes has been building new homes and condominiums throughout Central Ohio. We’ve never wavered in our commitment to quality and your satisfaction. That’s why we’ve earned one of the highest repeat customer and referral rates in the industry. © 2019 Plumbing Solutions of Columbus. All Rights Reserved.